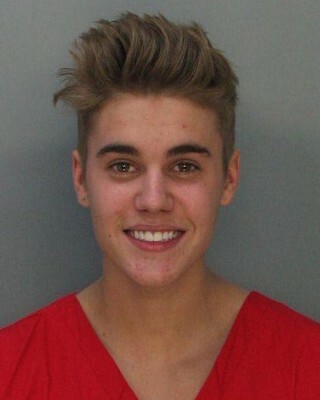 Justin Bieber, looking sickeningly sweet even in a mug shot. Justin Bieber is also under investigation for felonious vandalism, and coupled with Bieber’s arrest yesterday, millions of “Beliebers” are outraged that he is being penalized for breaking the law. Many have vowed to go on a hunger strike until he is cleared of all charges. The Humor Times asked one parent of a Justin Bieber fan if they were worried that their child might be exhibiting dangerous behavior. “I did the same thing when the New Kids on the Block were accused of lip-synching in the early 90s,” said a parent of a Belieber. “I missed a couple of days of school and was treated for dehydration. I lost a few pounds and all the boys complimented me on how skinny I looked, so this might be great for my little Belieber’s self-esteem!’ the parent added. Fast-food restaurants are ready for the potential loss of income, due to the Beliebers hunger strike. McDonald’s is offering Happy Meals half-off and Chuck-E-Cheese are offering free music CDs of their robotic house band, which features Justin Bieber’s music.